Veruca Salt skyrocketed to fame in 1994 with the alternative radio mega-hit "Seether" off their Minty Fresh debut album "American Thighs," and followed with an equally successful sophomore effort, 1997's "8 Arms to Hold You." After co-founder Nina Gordon left to pursue a solo career, lead singer/guitarist Louise Post reformed the band with guitarist Stephen Fitzpatrick and drummer Kellii Scott, to produce 2000's critically acclaimed "Resolver," described by Chicago Sun Times' Jim DeRogatis as "the best album to be released under the band's Willy Wonka-inspired moniker, as well as one of the strongest albums of the year ... a galvanizing rock 'n' roll statement in a pop-dominated time." The success of Veruca Salt's 2005 EP "Lords of Sounds and Lesser Things" and its accompanying US tour secured the band a record deal with indie label powerhouse, Sympathy for the Record Industry. Now six years after Resolver, Post and Fitzpatrick have been joined by bassist Nicole! 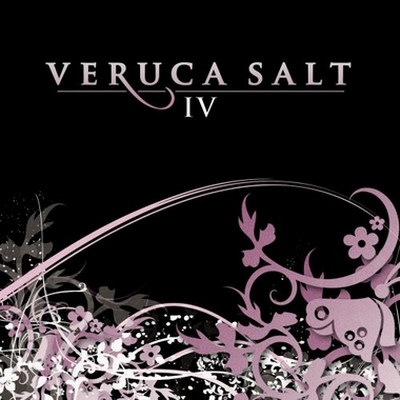 Fiorentino (Radio Vago), and rejoined by drummer Kellii Scott (Failure, Blinker the Star, Enemy), to create the fourth and latest full length Veruca Salt album, "IV," which is slated for release in September 2006. Produced by Rae DiLeo (Filter, Army of Anyone), "IV" features the classic heavy guitar thunder, pop sensibility, and soul-wrenching lyrics of previous Veruca Salt efforts, coupled with the stirring musical maturation of Louise Post and Co. Songs written and performed live to worldwide acclaim over the past six years (such as "Blissful Queen," "Save You," and "The Sun") have been combined with powerful new material, and the resulting effort promises to be the greatest Veruca Salt album to date.